With elections kicking off in the world’s largest democracy, there are voices echoing NaMO: an acronym for India’s Prime Minister Narendra Modi. This is not to suggest that the NaMO mantra will have a bearing on the way people in India will vote. It is only indicative that Prime Minister Modi’s persona is grabbing headlines; generating controversy and demanding the intervention of the Election Commission. Irrespective of the outcome which has not gone the way Modi loyalists would have liked to see it, it is enough to make people stop, watch and perhaps get influenced either positively or negatively. If one reaction is that the Modi camp is “overdoing it” there is an opinion that all the brouhaha will certainly be “advantage Modi”. For starters, some policemen on election duty in Noida, which flanks India’s capital city New Delhi, were served meals in packets labelled “Namo Foods”. The food packets, brought in the boot of a hatchback car, were distributed in the morning among personnel deployed in the area. Photograph of policemen distributing food packets with Namo printed on them went viral on social media. This created a furore forcing an official clarification wherein it was stated that the packets were procured from a food shop bearing the name Namoand not from any political party. “Misinformation is being spread that some policemen have been distributed food from a political party. This is absolutely wrong. At the local level, some food packets were procured from NamoFood Shop and not from any political party,” the Police said alleging that “wrong and politically motivated rumours” are doing the rounds. They dismissed it as “misinformation”. Meanwhile, the Election Commission prohibited the screening of a biopic on Prime Minister Narendra Modistating that any film that subserves the purpose of any political entity or individual should not be displayed. The commission’s order came a day before the movie was to be released and on the eve of the first phase of elections, where 91 constituencies go to the polls. The Election Commission of India stopped the release of biopic 'PM Narendra Modi' for the duration of 2019 Lok Sabha elections on grounds that any material disturbing the level playing field in favour of any political party or individual should not be displayed. Opposition parties have been calling for a ban on the movie in view of Model Code of Conduct (MCC). The ECI said that it has also received complaints about 'NTR Laxmi' and 'Udyama Simham'. "Any biopic material in nature of biography sub-serving the purpose of any political entity or any individual entity connected to it, which has potential to disturb level playing field during the election, should not be displayed in electronic media including cinematograph during the operation of MCC," the ECI said in its statement. The biopic on PM Modi was due for release on April 11 after after several hiccups. The release of the film was earlier deferred pending clearance from the Central Board of Film Certification (CBFC), which it finally secured. Before the CBFC certification, the Supreme Court had dismissed a plea filed by a Congress activist seeking a stay on the release of the biopic. The Supreme Court said it dismissing the petition for the stay on the release of the film as it was "premature" since the movie was yet to be certified by the CBFC. The court said in its judgement that even if the film was released on April 11, it would be appropriate for the plaintiff to seek redressal from the Election Commission. The Congress activist had sought a stay on the biopic's release till the completion of the Lok Sabha elections. In his plea, he had alleged that it was designed to "manipulate, influence and impress viewers and voters". The Election Commission order stayed the release of the biopic. This was a shot in the arm for the Congress which said the commission’s order staying the crass publicity gimmick through the biopic was a promising step in upholding and ensuring a “level playing field” in the ongoing elections. The Prime Minister’s quest for “I, Me, Myself” through “Namo TV” was also a boorish attempt at self-promotion. Both “Namo TV” and the Modi Biopic were nothing more than a flagrant misuse of money power by an arrogant ruler facing imminent defeat, Congress chief spokesperson Randeep Surjewala said. The order was also interpreted as one that would extend to Namo TV: a channel operated by the BJP. The EC had called for keeping content which furthers a candidate's electoral prospects away from the electronic media. 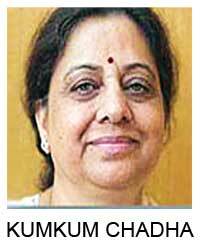 There was speculation that this could mean the channel being taken off air till the Model Code of Conduct was in place given that the EC order had said that “any poster or publicity material concerning any such certified content, which either depicts a candidate (including prospective) for the furtherance (or purported to further) of electoral prospects, directly or indirectly, shall not be put on display in electronic media in the area where MCC is in force." The confusion was later cleared when the Commission said that stalling the biopic had no co-relation with NaMo TV dismissing reports that the order on the film will impact the channel as well. The Commission’s order was earlier to quote officials “misinterpreted” to indicate that it would apply to NaMo TV, which also cannot be aired during the poll period. It however said that content on the channel would need to be cleared before being aired. NaMo television channel had mysteriously appeared on private DTH networks some two weeks back. The 24-hour channel has been promoting Prime Minister Narendra Modi and the BJP ahead of the Lok Sabha elections. The BJP has said that NaMo TV is part of the NaMo app, which is a digital property owned and run by it: "The party has taken slots on Direct To Home for which provisions are there to show it [NaMo TV]." This makes it amply clear that the ruling party had taken advantage of the grey area in the regulation to launch a channel. 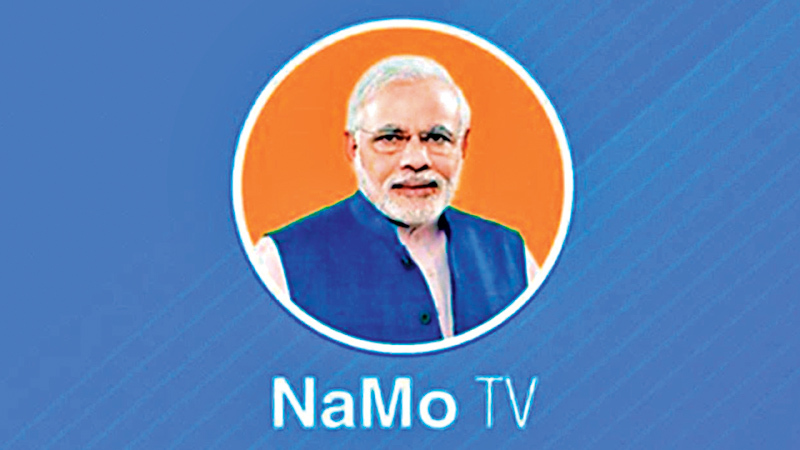 The content of NaMo TV was made available to the platforms not through satellite but through fibre. Back in 2015, TRAI had asked the I&B Ministry to approve the content of the value-added services as it interfered the content offered by the licensed broadcasters. Earlier, in response to the Election Commission (EC), the Ministry of Information and Broadcasting (I&B) had said that NaMo TV is an advertisement platform launched by DTH service providers, which does not require government approval. BJP had also tweeted about the channel's launch from its official Twitter handle. The I&B Ministry had then said that NaMo TV is reportedly owned by Parag Shah, an IT professional and senior political analyst who worked under Prime Minister Narendra Modi when he was the Chief Minister of Gujarat. Meanwhile, Delhi Chief Electoral Office's Media Certification and Monitoring Committee's (MCMC's) has said that the content aired on NaMo TV which included speeches of PM Narendra Modi and his policy initiatives, do not qualify as advertisement. In a short time after its launch, Namo TV had achieved a reach of 37 per cent, which is slightly lower than that of NDTV India's 43 per cent, according to reports. Opposition knocking the doors of the electorate.